BARCELONA—At a Sunday press event prior to Mobile World Congress, Microsoft vice president Joe Belfiore led with bright news about Windows 8: Microsoft has sold 200 million licenses (more than all of OS X’s user base, he noted); users have downloaded 4 million apps from the Windows Store; and 40 percent of Windows 8 machines are touch-enabled. 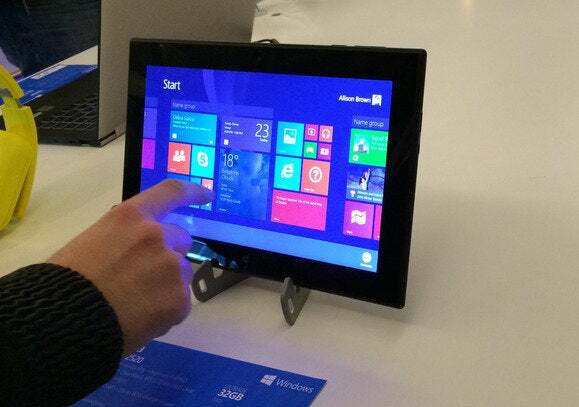 But for the 60 percent of Windows 8 machines still not touch-enabled, Belfiore conceded, users’ “satisfaction level is lower.” So when the Microsoft executive confirmed rumors of a Windows 8.1 update this spring, he also detailed three major improvements that would come with it. First and foremost will be features to give mouse-and-keyboard diehards a break. Specific user interface changes will include what Belfiore called “discoverable Search, Power, and Settings,” meaning these three features would be visible on the Start screen. There will also be a new mouse UI for right-clicking to start and close apps, and you’ll be able to launch and switch apps from the taskbar. 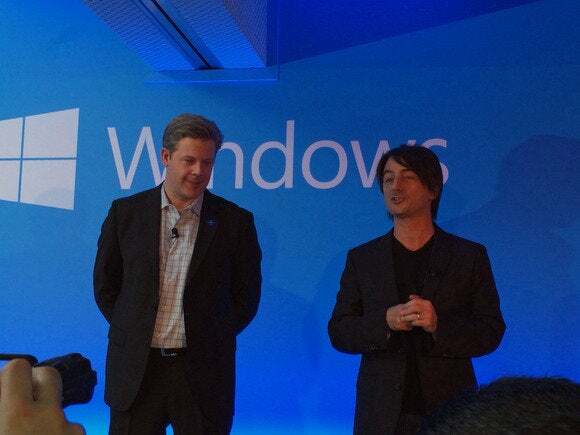 Belfiore, right, is Microsoft's corporate vice president and manager for Windows Phone Program Management. Windows 8 is also being re-tuned to allow for somewhat more lenient hardware specs—and therefore, lower prices for end users. Belfiore said hardware partners would be able to build machines with 1GB of RAM and 16GB of hardware storage. While Belfiore didn’t provide any detail about actual products, those baseline specs would seem to provide room for lower-cost Windows tablets. “This is work we have in progress now,” Belfiore said in closing, offering no further details. However, in the Q&A that followed, he emphasized that Windows RT very firmly remained part of Microsoft’s picture. Belfiore’s statements were echoed in a blog post that also appeared this morning.